All 4 doors automatically open when engine is off. 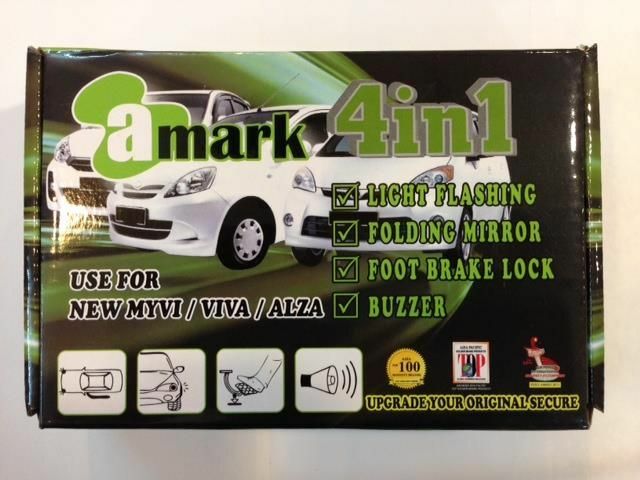 A-Mark Alarm Buzzer + Double Signal + Foot Brake Lock + Side Mirror Auto Fold which is specially made for Perodua Car that do not have any factory fitted auto door lock. This auto door lock will be locked all the 4 doors when press the brake, just in case you forgot to lock it manually,meanwhile,when a door is opened and closed,the door will repeatedly locked again when press the brake. Car door will be unlocked once the engine is switch off. When door is opened, double signal light will light up to alert Vehicle from back side for Safety. This package also include sound indicator (by installaing buzzer) each time you unlock/ lock the car. The alarm will sound like TOYOTA "Beep" when lock and "Beep Beep" when unlock. This device is very easy to install and it won't void the factory original warranty by just Plug & Play to original alarm socket. Only Applicable for cars with side mirror motor. 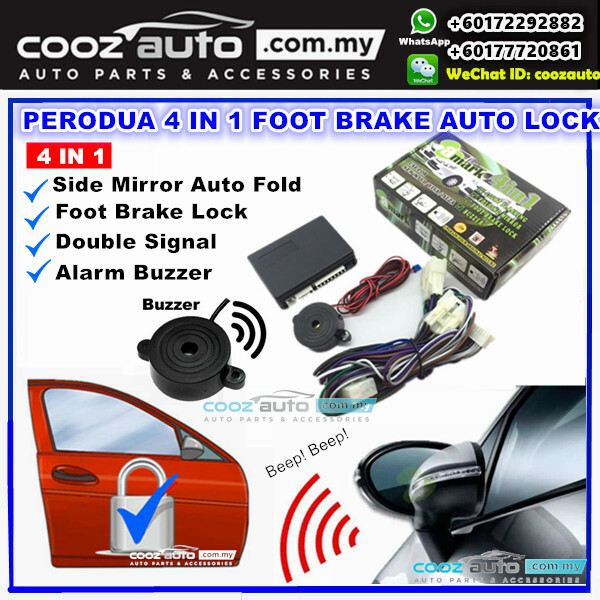 This product is 4 in 1 feature: sound indicator, double signal lights every time you lock / unlock your car & foot brake lock where car automatically locks every time you step on the brake only/side mirror will auto fold when vehicle is lock or unlock. It is only applicable for Perodua Myvi, Viva & Alza. 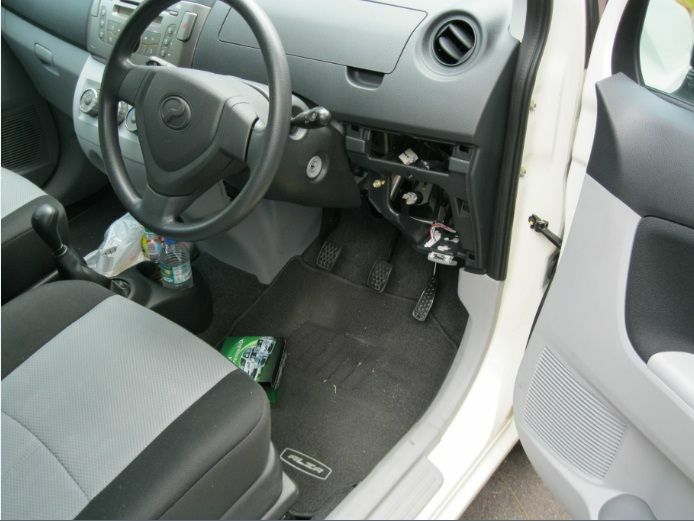 The alarm module for Viva is locate right behind the radio, Myvi is locate at Light hand side upper console box and Alza is locate at Light hand side steering bottom cover. DIY Product. Easy and Simple install. 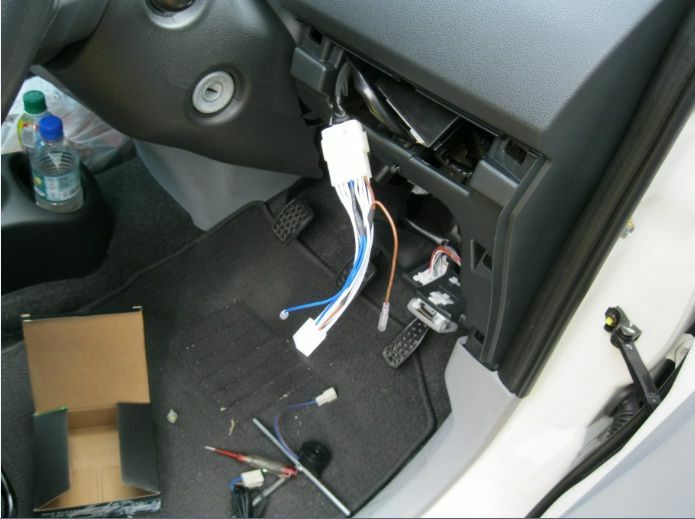 Step 1: Find out the location of OEM Alarm Head Unit. Step 2: Disconnect OEM Alarm Head Unit Socket & insert replacement plug from A-Mark New Module. 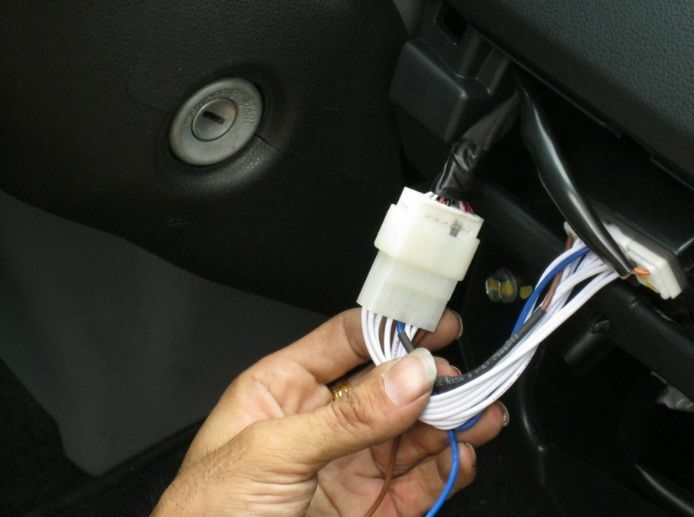 Step 3: Insert A-Mark Module Socket into OEM Alarm head Unit. 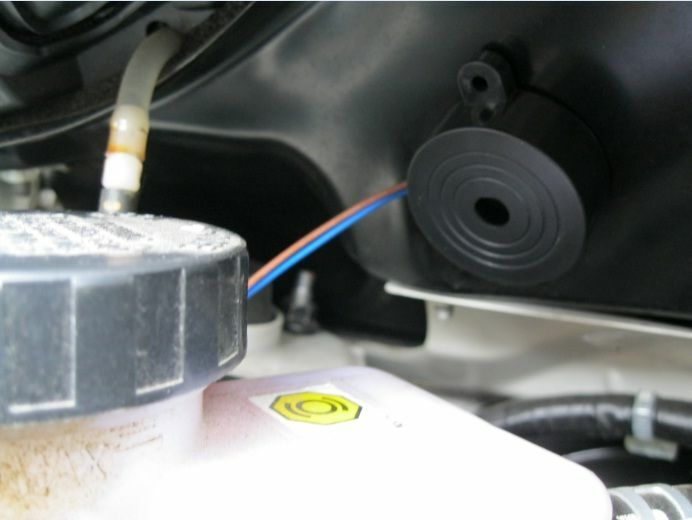 Step 4: Locate the Buzzer under the car front Bonnet.